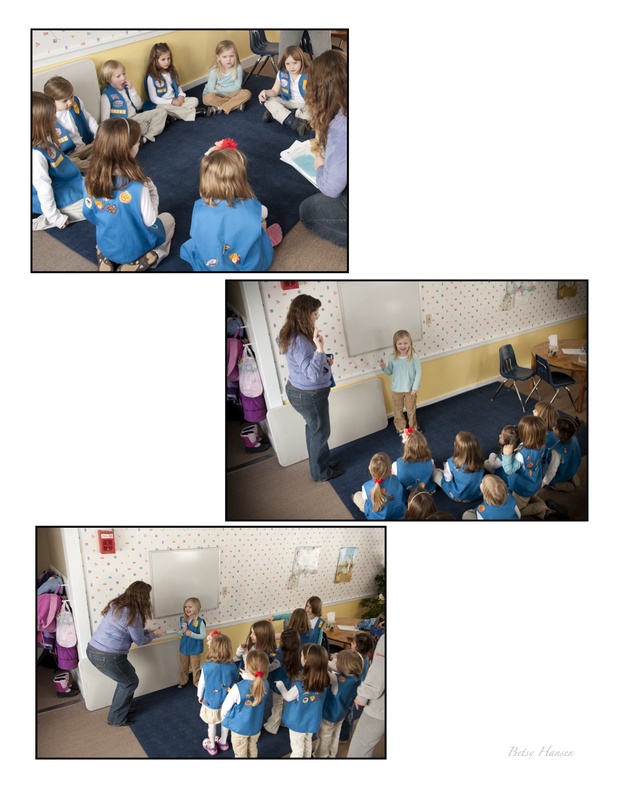 Girl Scouts | Mother of the Year... AGAIN! The Girl Scouts have a “bring a friend” movie night. Typically I don’t even share the information unless I know for a fact we or anyone will participate. Having been gone all week this typical filter didn’t happen. So, when I got home Kate was excited to tell me that she was going to movie night and she was going to bring her friend Rya. I went along with it and thought I needed to call Monica to see if Rya could join Kate. I made the call this morning but aside from Mother’s discussing over email, the plan had not yet been solidified. Shad stopped at their house to see if she wanted to come and we thought we should pick up Owen too so Reilly had a playdate as well. I got a call from Shad the Rya needed a little encouragement from Kate. Kate got on the phone and asked Rya to come, I only heard Kate’s side (Kate and Shad heard Rya’s). She came over and hugged me, sobbing. I hugged her back. So Kate is a Daisy, officially. It took an extra week before her vest wasn’t in but she practiced and practiced her Girl Scout Law for the big day. She was so cute learning it and reciting it and standing up in front of the other girls to recite it. We practiced two last times in the car on the way over – she slowed down and enunciated so well. I was so proud she did it with confidence. I wasn’t sure if we were going to do the girl scout/boy scout thing. We skipped it with Reilly but Kate without even knowing what it is made me rethink. I just felt like school wasn’t giving her a niche that I wanted her to have. She is an independent player and is happy by herself BUT I wanted her to find a girlfriend to have, to talk to, to play with. Shad and I aren’t helping the situation since we don’t rotate in the “playdate” department. I tried but it just wasn’t working out. With my work schedule and Shea being home and a sitter, it’s a lot of work. The effort often just seems to much. Thankfully between gymnastics and Daisy’s she seems to be finding her place. It makes me happy to see her connecting with some other kids. Go Kate, my little social Daisy!